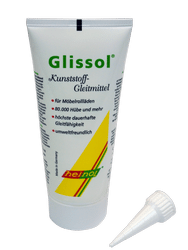 Heinol GLISSOL is particularly suitable for the lubrication of furniture shutters. 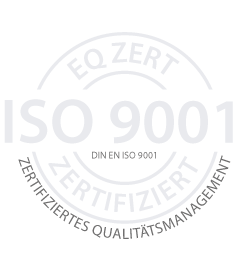 In tests 80,000 cycles and more were detected at constant lubricating performance. Heinol GLISSOL is recommended by leading furniture and furniture components manufacturers. Put 1 ml Heinol HEINOL® GLISSOL Lubricants for plastics into the guide rail of the furniture shutter. Treat the walls and corners of the guide rail thoroughly. Distribute the lubricant for example with a round brush by gliding 1-2 times through the roller shutter groove. Done. Put 1 ml HEINOL® GLISSOL Lubricants for plastics into the guide rail of the furniture shutter. Treat the walls and corners of the guide rail thoroughly. Distribute the lubricant for example with a round brush by gliding 1-2 times through the roller shutter groove. Done. Put 1 ml HEINOL® GLISSOL Lubricants for plastics lubricants into the guide rail of the furniture shutter. Treat the walls and corners of the guide rail thoroughly. Distribute the lubricant for example with a round brush by gliding 1-2 times through the roller shutter groove. Done.